So you got a Visa gift card for Christmas and it's burning a hole in your pocket? 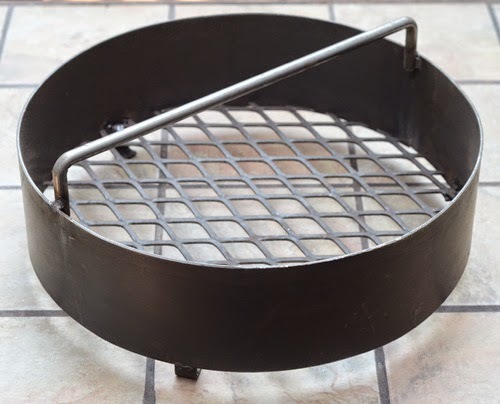 If you use a kamado style grill, the Kick Ash Basket might be just the ticket. I have to admit something up front. I almost didn't accept this product review because I had seen this accessory online and I had some preformed notions about it before ever seeing it in person**. I thought it was a solution to a problem that wasn't really a problem. I thought it was a little silly, I mean, how hard is it to stir your ash? My BBQ teammate and neighbor, John, echoed those thoughts when we first got it. 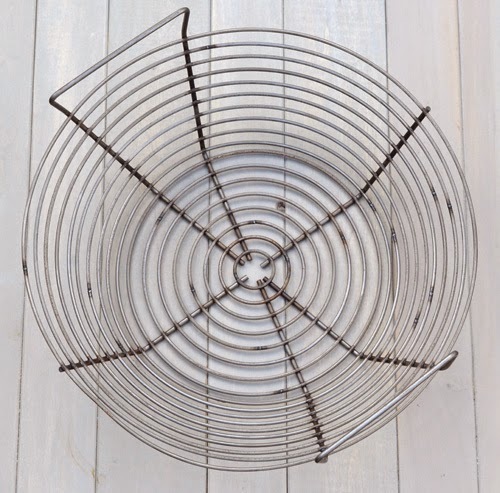 For three months we have heavily used the Kick Ash Basket for low and slow BBQ, hot and fast grilling, and even the extreme high temps of pizza cooks. In that process, our skeptical (i.e. prejudiced) minds have been changed. 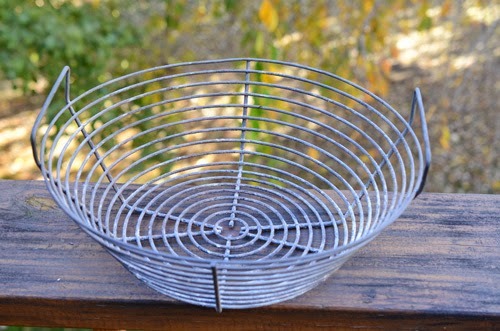 While relatively new in the kamado world, the Kick Ash Basket is actually not a new concept in the barbecue world. Charcoal baskets are pretty common for ugly drum smokers (aka "UDS" - homemade rigs made from 55 gallon drums) and offset smokers. They are used for preventing air flow problems and for easier refueling. 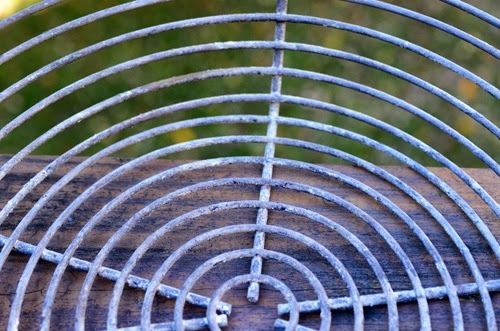 They are most often made with expanded metal and maybe some metal edges, like this one from my Pit Barrel Cooker. The nicer models have baffles to make the fire burn in a pattern (called a snake, wick, or fuse burn) instead of the coal all catching fire at once. This gives a longer burn and more temperature control. 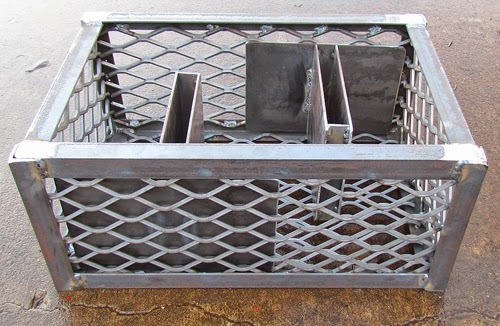 Here is a typical coal basket for a nice offset smoker. But for some reason, this idea never caught on with the kamado grilling crowd. Perhaps it is because kamados can go 20+ hours on a batch of coal whereas UDS have to be refueled every 10-12 hours and some charcoal pits every 4-8 hours. Back in 2009, creator Chad Romzek, was bumping into the typical learning curve issues on his first kamado grill - a Grill Dome. He thought there had to be a better way and came up with this. 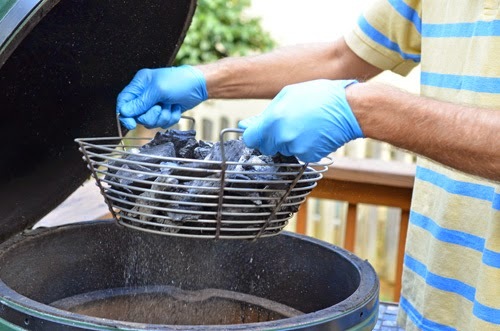 The Kick Ash Basket is such a charcoal basket but made specifically for kamado style grills. They are made from raw American steel and come in three shapes/sizes to accommodate almost any standard kamado (Big Green Egg, Kamado Joe, some Primo, Vision Grills, etc). Close up of the craftsmanship. Positioned in a large Big Green Egg. The size for a large Big Green Egg held right at 4.5 to 5.5 pounds (depending on the density and size of your coal), plenty for every day grilling. For overnight cooks you can overfill it once it is in the fire bowl. 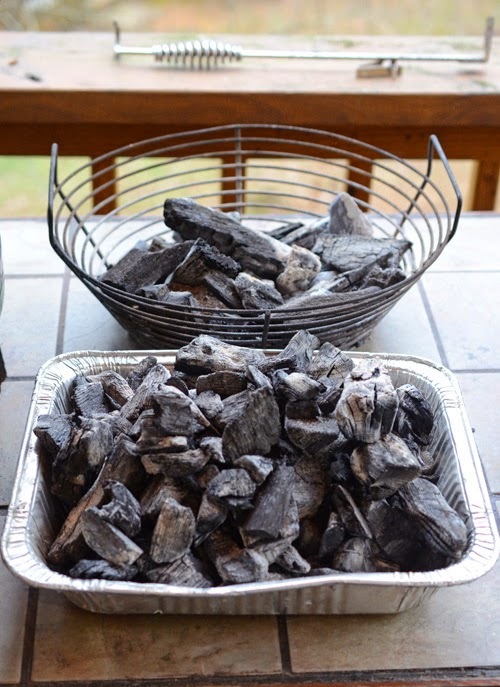 The efficiency of kamado grills let you reuse partially burned coal, but first you have to clear out the ash. 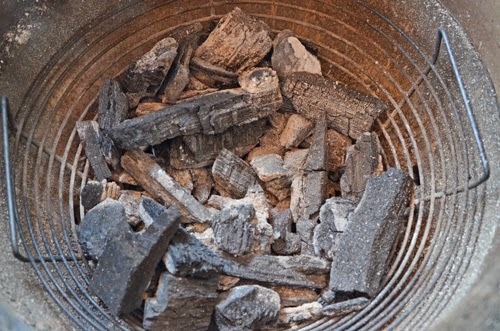 Ash gets between the coal, in the fire box holes, and in the fire grate holes, blocking the free flow of air. Air is "kind of" important for fire to work, ya know? 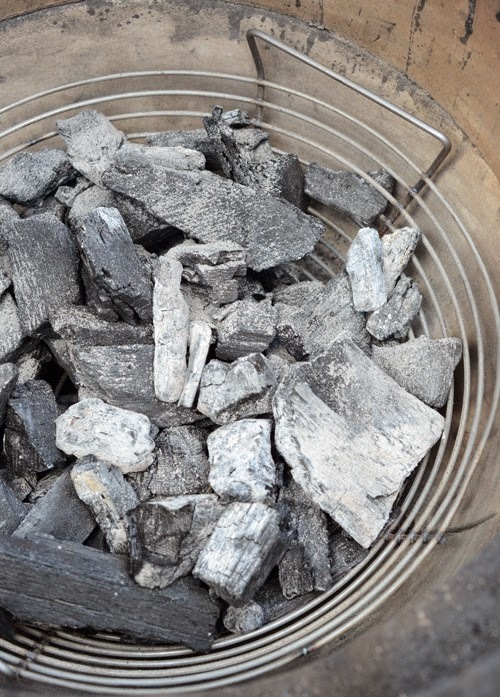 The way I normally would prepare the used coals for higher temp short cooks (burgers, steaks, chicken) would be to stir the dead coals around by hand, knocking the ash to fall down below the fire box. For longer cooks (briskets, butts, roasts), I would literally remove the used coals by hand and put it in a half steam pan. Then I add wood and new coal to the fire bowl and top it off with the old used coal. 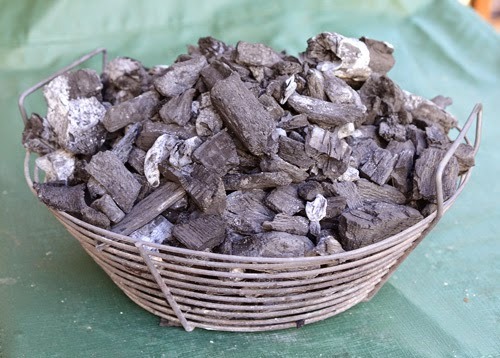 The Kick Ash Basket comes on the scene and lets you "shake that ash and light the fire". Just a quick shake, top off with fresh coal, and fire away. The ash in there is filling voids and space where air would normally flow. Well that was bleepin' easy. Shouldn't have bothered with gloving up like I normally do. It was easier than my usual way, saving a few seconds over "the stir" and a few minutes for the removing by hand method. It was more effective as getting more ash out or maybe it was just easier to do a better job at it. Either way, when I use the Kick Ash Basket I end up with a better set up. 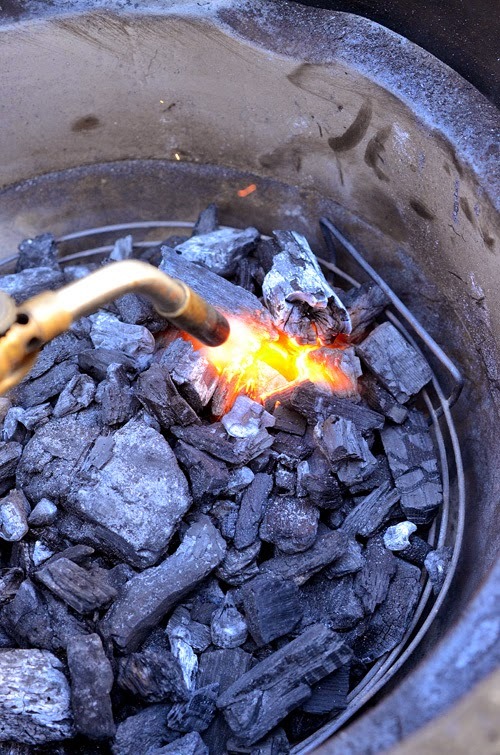 Note: If you light up with a MAPpro gas torch like I do, you might still want to take the extra step of putting old coal on top of your new coal to help minimize the sparking and popping fireworks that come with putting intense heat to fresh coal. That is an issue between the coal and heat, has nothing to do with this basket. Any other lighting method you can just top off the old with the new as directed. Subjectively, I noticed that it seemed like I got much quicker start up times when using the Kick Ash Basket. To objectively test it out, I set up a little side by side experiment at the Secret Lair Lab Division of Nibble Me This Conglomerate International Headquarters (aka "my deck"). 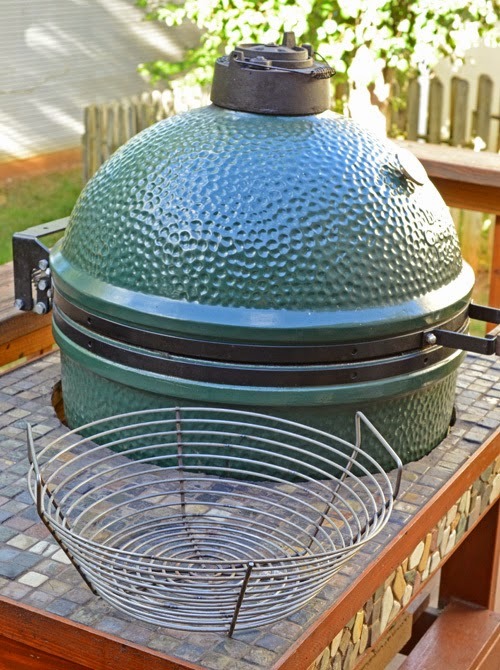 I cleaned out two large Big Green Eggs and set one up with the stock charcoal grate and the other with the Kick Ash Basket. See? I wasn't kidding. I really used to unload used coal from the kamado grill by hand and hold it in a half steam pan while filling in the new coal to the fire bowl. 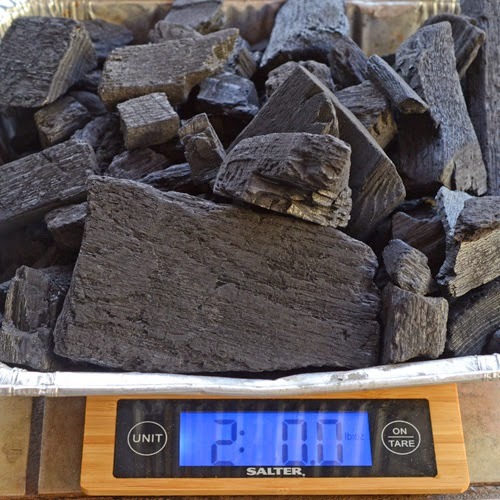 I carefully weighed out the coal for each grill - 3 pounds of fresh and 1.5 pounds of used coal so I was comparing apples to apples. I lit each grill using a MAPpro gas torch. Twenty seconds each at the 10, 2, and 6 o'clock position. Then I timed them for how long it took them to come to temperature. 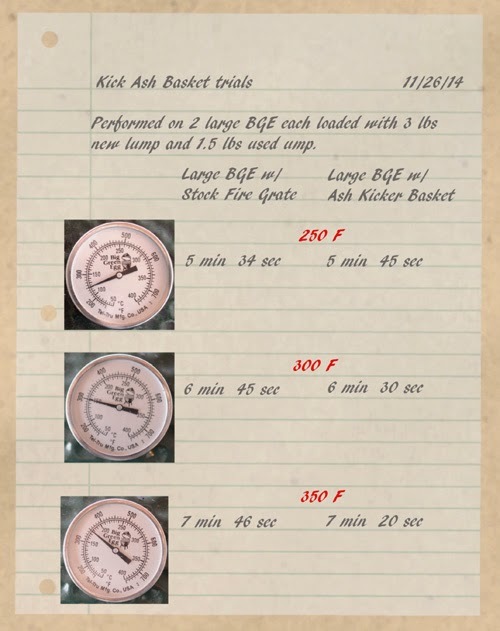 The stock grate actually got the jump to reaching 250°F in our test but the Kick Ash equipped Egg quickly caught and overtook it, beating it to 300°F and 350°F. The kamado is an amazingly efficient design but it does have a few potential places for ash and small pieces of coal to block air flow as the coal cooks down. Primarily this happens 1) within the coal pile, 2) in the stock coal grate, and 3) in the small air holes in the side of the fire box. Notice the 1/4" gap between the coal and ceramic walls. This greatly improves are flow because the coal normally rests against the walls. Potential issue 1 is resolved at the start by getting old ash out and you could do it with gloves on during the cook if necessary (for 8+ hour cooks). 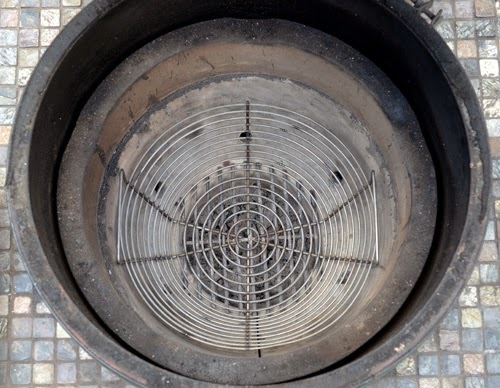 Potential issue 2 is resolved because the Kick Ash Basket doubles as a turbo grate like the Hi-Que aftermarket coal grate that many folks use. There are no small holes to be blocked. Potential issue 3 is eliminated because the Kick Ash Basket keeps the coals off of the fire bowl wall to begin with, not only keeping the holes clear but also making extra room for air flow all of the way around the basket. Looking down at the Kick Ash Basket in action. Another side benefit that I didn't time or test is the promise of quicker cool down times. This year John, Alexis and I are switching back to kamado grills for our competitions. One of the challenges is getting the grills to cool down for the load out after a contest. Usually you would close the kamado down to extinguish the coals and after about an hour, open the grill to let it cool down. With the Kick Ash, we can easily remove the live coals and leave the kamados open to start cooling down the ceramics immediately. After 3 months, our Kick Ash Basket has held up quite well. It has maintained it shape even in the fires of Morodor hot pizza cooks on the kamado. There's going to be some discoloration of any grate, but as you can see there is no corrosion or pitting. Okay, I was a grumpy old codger stuck in his ways with preconceived ideas about this Kick Ash Basket and I was completely wrong. It delivers easier/more effective ash cleaning, quicker start up times, and better air flow for the kamado style grill, just as promised. I think this is an excellent tool for the ceramic grills, especially for the crowd that cooks on their grill several times a week. It also helps keep new kamado users from running into some of the pitfalls (slow starts, hard to get up to temp, hard to maintain temp) that many of us learned the hard way. So is the Kick Ash Basket in the "necessity" category, such as; digital thermometer or plate setter/heat diffuser? Probably not, I would classify it as a "luxury add on" like heated leather seats for a car. Those aren't "necessary" either but you sure as hell appreciate it if you have the extra $$. For me it is worth the money and I plan to buy a few more for our team. 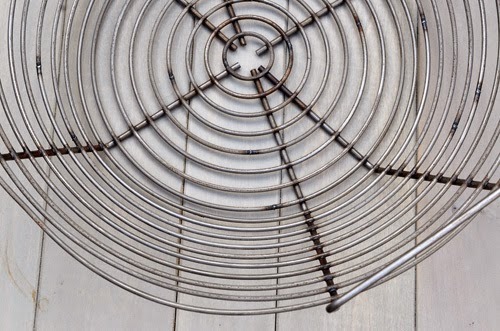 The Kick Ash Basket is available in three models for most kamado grills at select retailers and online. It costs $49.99 and comes with a 60 day warranty. Thought I was gonna hate it. I was wrong. Delivers as promised. **In my defense, I'm not the only one with bias. When The Naked Whiz mentioned he was reviewing this on Facebook, the comments from readers (who had never touched the thing) were pretty evenly split between "can't wait to hear about it, I might want one of these" and "this is the dumbest thing I've ever heard of". [Standard FTC Disclosure] We received a sample unit from Chad at no cost, however, this was accepted with the caveat that if we didn't like it we weren't going to BS a nice review, we just wouldn't review it.